Eat breakfast – a healthy breakfast is an important part of a balanced diet, and provides some of the vitamins and minerals we need for good health. 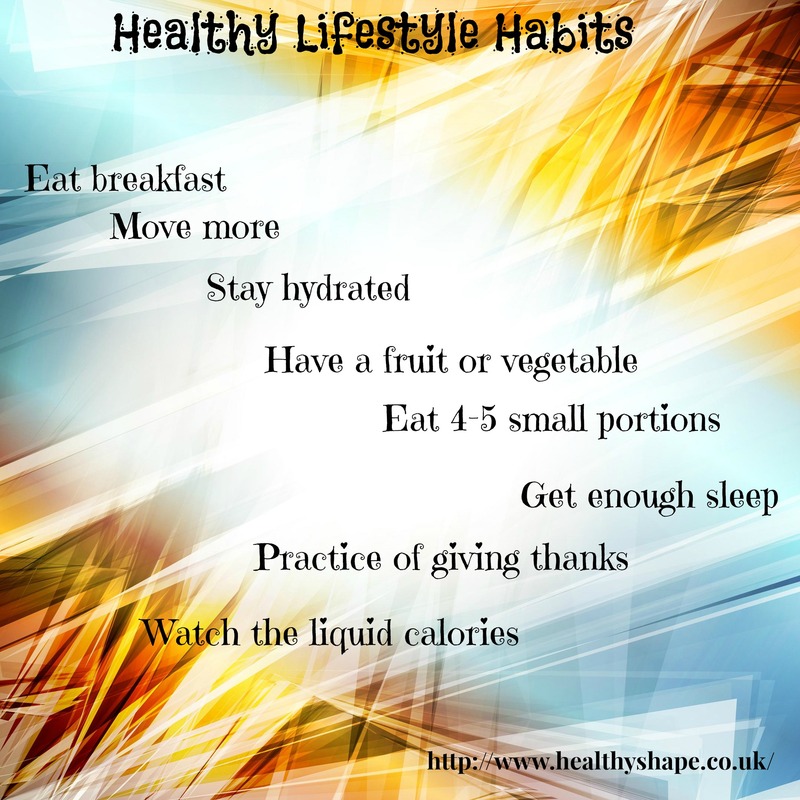 Move more – physical activity can help you to maintain weight loss or be a healthy weight. If you feel hungry after activity, choose foods or drinks that are lower in calories but still filling. Stay hydrated – drink 6-8 glasses of water each day to keep your body hydrated. Have a fruit or vegetable at everyday – 6-8 servings of fresh vegetables and fruits each day. Eat 4-5 small portions including shakes and snacks throughout the day. Watch the liquid calories – don’t forget that alcohol is also high in calories, so cutting down can help you to control your weight. This entry was posted in Healthy Living and tagged Breakfast, drink, eating habits, fruits, Health, life, present, vegetables, water, weight management by Susanna. Bookmark the permalink.